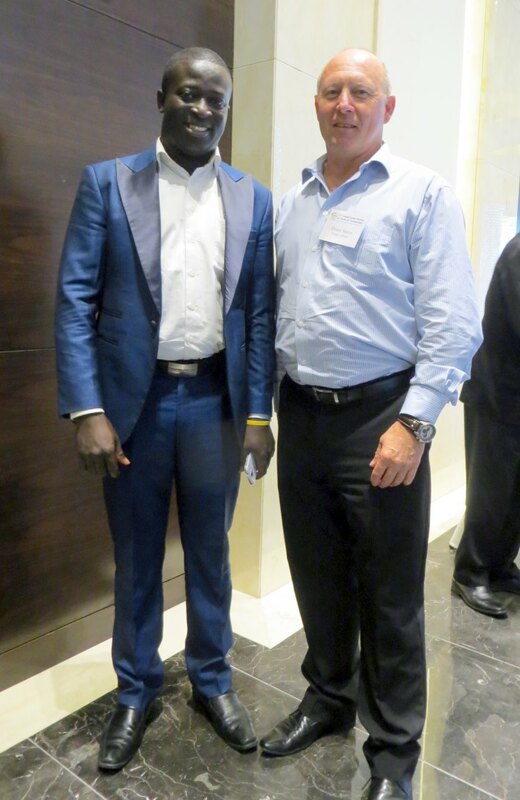 Plastics SA Director of Sustainability Douw Steyn with Daniel Yaw Mensah Tornyigah of the Ghana Plastic Manufacturers Association. 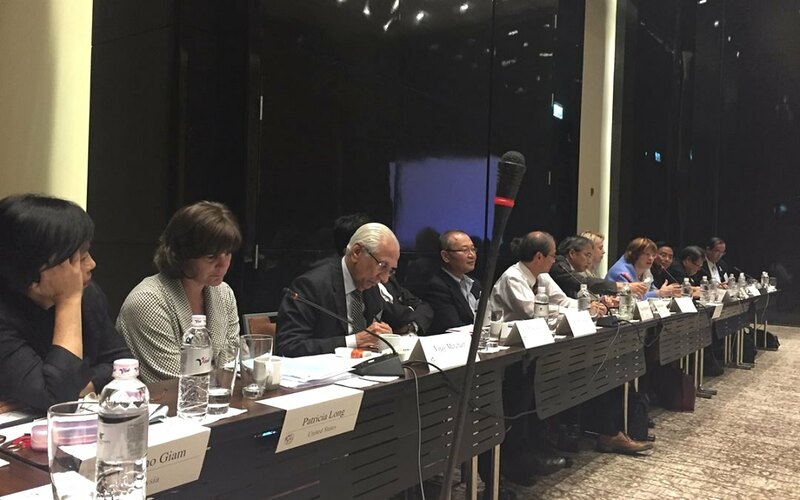 Seven new signatories were added to The Declaration of the Global Plastics Associations for Solutions on Marine Litter, also informally known as the “Joint Declaration” in 2016. New participants include the American Fiber Manufacturers Association (AFMA), the Bangladesh Plastic Goods Manufacturers & Exporters Association (BPGMEA), the Flexible Packaging Association (FPA), the Ghanaian Plastics Manufacturers Association (GPMA), the Myanmar Plastics Industries Association (MPIA), the Indonesian Olefins, Aromatics and Plastics Association (INAPLA), and the Vietnam Plastics Association (VPA). “Plastic producers from around the world are coming together to keep used plastic out of the environment, and to further improve the sustainability of these energy and resource efficient materials. 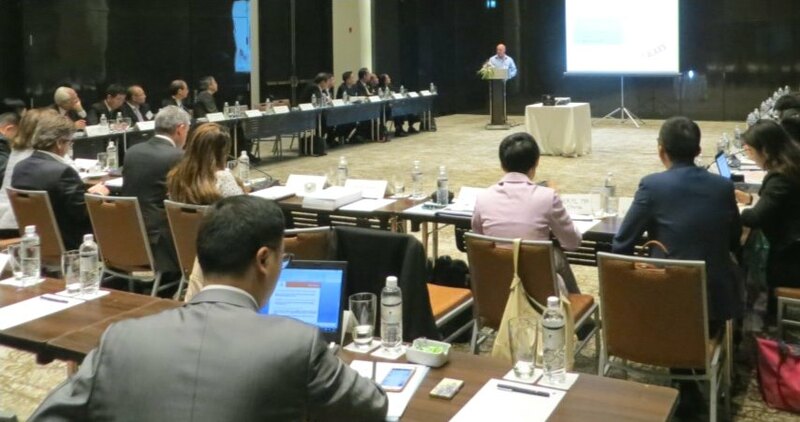 The strong participation at this meeting demonstrates that this industry is committed to providing solutions to ensure a more sustainable future,” said Callum Chen, Secretary General of the Asia Plastics Forum. The Global Declaration was launched in March 2011 at the 5th International Marine Debris Conference. Today, the Declaration has been signed by 69 plastics associations from regions across the globe. Recognizing their important role in fighting marine litter, these plastics associations have launched and are supporting projects in six key areas aimed at contributing to sustainable solutions. The six focus areas of the Global Declaration are education, research, public policy, sharing best practices, plastics recycling/recovery, and plastic pellet containment. Douw Steyn presenting to members of the GAT in Vietnam. In May, leaders from plastics organizations across the globe announced that there were approximately 260 projects planned, underway or completed. Plastics|SA has been a signatory of the Joint Declaration since 2011 and Packaging SA signed the Declaration in 2015. Douw Steyn, Director Sustainability, represents Plastics|SA’s Sustainability Council on various GPA task teams viz. advocacy, marketing and research, is the chairman of the subgroup: Stakeholder Engagement and attends GPA meetings on an annual basis. The Sustainability Council’s marine activities are in line with the 6 focus areas of the Joint Declaration with a focus on providing strategic leadership to the industry on sustainability issues. Douw is also a member of the leading team on Plastics Waste Management, led by Dr Jurgen Bruder, IK Germany, as nominated in Hanoi in 2016. There is unbelievable plastic litter in the field around the townships next to the N2 in Somerset West. Goats grazing there are probably ingesting plastic and the new prefab school’s grounds are also full of plastic. When we were at school we were made to pick up all litter, but the same environmental caring does not seem to apply these days. I have been attempting to contact local authorities in an effort to start a campaign to pick up litter, but, so far, have been unsuccessful. When you hear of a whale dying on a beach because it swallowed plastic, you realize that the situation is dire! !